Draft: 2009, Atlanta Braves, 1st rd. Michael David Minor…resides in Knoxville, TN., during the offseason, with wife, Kristen and daughters, Stella and Ava…participated in 2018 Rangers' winter caravan and Fan Fest. In his 1st season as a starter since 2014, Minor led Texas starters in wins (12), starts (28), innings (157.0), strikeouts (132), and quality starts (13)…more than doubled his innings total from 2017 with Kansas City (77.2), producing his most innings since 2013 with the Braves (career-high 204.2 IP)…fell one win shy of matching his career high win total of 13 achieved with Atlanta in 2013. In his lone season with KC, led staff in relief wins (6), was 2nd in appearances (65) and saves (6) and placed 3rd in holds (17) and games finished (13)…career low 2.55 ERA was 2nd lowest among all KC pitchers…tied for 7th among A.L relievers in wins and was T11th in strikeouts (88), 2nd most ever for a Royals lefty (Tim Collins, 93 in 2012)…issued just 0.58 home runs per 9.0 innings, 2nd-lowest among A.L. pitchers (min. 70.0 IP), bettered by Rangers' Alex Claudio (0.54 HR/9.0 IP)…held opposition to .204 batting average, including .163 vs. LHB, 7th-lowest mark in A.L. (minimum 90 batters faced)…had a 1.017 WHIP, 10th-lowest in ML (min. 70.0 IP). SUMMARY // Allowed runs in 17 of 65 appearances with 18 of 65 first batters reaching base…permitted 14 of 34 IR to score (41.2%)…appearance on 4/3 at MIN was first in Majors since 9/20/14 vs. NYM, start with ATL and snapped a string of 102 straight starts since lone ML relief outing on 10/1/10 vs. PHI…posted a 3.65 ERA (5 ER/12.1 IP) in 10 April games… went 5-0, 1.16 (4 ER/31.0 IP) in his next 25 appearances, allowing runs just 3 times, to drop ERA to 1.87 at the All-Star break, 2nd lowest among qualifying A.L. relievers at that point… worked 14.1 scoreless innings over 10 games, 5/4-26…was 0-5, 5.68 (12 ER/19.0 IP) in first 16 outings of 2nd half to raise ERA to 3.03 through 8/24…went 1-0, 0.59 (1 ER/15.1 IP) in his final 14 appearances, ending the year with 7.0 scoreless innings in 7 games. SAVES // Finished the season at KC's closer, earning first 6 ML saves in final 6 appearances with 5.2 scoreless innings… was first KC lefthander with 6+ saves since Jeremy Affeldt in 2004 (13)…collected first career save on 9/15 at CLE, striking out the side in the 9th to protect a 4-3 victory which snapped the Tribe's 22-game winning streak…was 0-for-3 in save tries prior to that time. Signed a two-year free agent contract on February 19, with a mutual option for the 2018 season...Did not pitch in the Major Leagues, spending time at Northwest Arkansas (AA) and Omaha (AAA) as part of two separate rehab assignments...Made his season debut on May 10, tossing 1.1 innings at Arkansas…it marked his first professional outing since September 20, 2014, with Atlanta...Had two starts for the Naturals and three at Omaha, May 10-30, before being shut down until after the All-Star break…posted a 4.05 ERA with 19 strikeouts in 20.0 innings over his second rehab assignment. Mike missed the entire season after suffering a torn labrum...he was placed on the disabled list during Spring Training and had surgery on May 13 in Los Angeles. Ranked eighth among NL lefthanders (minimum 100.0 IP) with a strikeout/walk ratio of 2.73 (120/44). Ranked 10th among NL lefties (minimum 100.0 IP) with a strikeout/9.0 IP rate of 7.43...His 21 home runs allowed ranked second on the team and ranked tied for 16th in the NL...Allowed a career-high-tying 11 hits on four different occasions, last doing so on 7/12 at CHI. His 10.22 H/9.0 IP was the highest of his career for a full season and the highest by a Braves starter last year...Was slowed during spring training by left shoulder tendinitis and made no official spring appearances. Opened the season on the 15-day disabled list before making his season debut on 5/2 vs. SF...Made five rehabilitation appearances (four starts) from 4/3-25, combining to go 2-2 with a 4.43 ERA (11 ER/22.1 IP) between Rome (A), Mississippi (AA) and Gwinnett (AAA)...Made his season debut on 5/2 vs. SF and suffered a 2-1 loss as he allowed two solo home runs over 6.0 innings. The loss was the first of his career to the Giants...Went 0-2 with a 5.90 ERA in five starts in the month of June, as he fanned 35 batters in 29.0 innings (the Braves went 3-2 in his June starts). Went 2-3 with a 3.41 ERA in six starts in the month of May...After his scheduled start on 8/8 vs. WSH was skipped, pitched to a 3.42 ERA (18 ER/47.1 IP) over his final eight starts to close the season...Held a no-hitter through 7.2 innings on 8/22 at CIN, ultimately allowing one hit and walking four in Atlanta's 3-1, 12-inning victory. The no-hit bid was the longest of his career. Ranks fourth in the majors with a 2.90 ERA since the 2012 All-Star break (min. 40 starts), going 19-13 in 46 starts during that span. Led the Braves in innings pitched for the second straight year (had 179.1 in 2012). His strikeout-to-walk ratio of 3.93 (181:46) ranked eighth in the National League. His .217 opponents' average against LHB ranked 12th in the NL (min. 150 ABs). Owned the fifth-highest run support average in the NL at 5.47 (16th in MLB). The Braves averaged 3.6 runs per start while he was still in the game. On 9/17  at WSH, he allowed three runs in the first, but retired 17 of his last 19 batters faced, including four perfect innings (2nd-6th). The bullpen surrendered a two-run lead in the ninth and Atlanta lost 6-5. The two homers he allowed on 8/31 vs. MIA were the first he'd given up since 7/26 (he entered the game with a string of 33.2 homerless IP since 7/26). Tossed his first career complete game on 7/21 at CWS. He went 8.0 IP in the 3-1 loss to the White Sox. In 18 starts, from 5/8-8/11, he went 9-3 with a 2.74 ERA, with 112 strikeouts and just 27 walks in 118.1 IP. Went 4-0 with a 1.98 ERA and a .186 opponents' average in the month of May. 2013 marked his first postseason appearance. Was listed on the 2012 WC roster, but did not appear. Made his first career postseason start on 10/4 vs. LAD in Game 2 of the NLDS by allowing just one run over 6.1 innings while striking out five. The 4-3 victory was the Braves' only win of the series. He was the first Braves starting pitcher to allow only one run in a postseason game since Tim Hudson in Game 3 of the 2010 NLDS and was the first left-handed pitcher to start a postseason game for the Braves since Mike Hampton started Game 2 of the 2004 NLDS. Went 4-0 with a 0.87 ERA and .129 opponents' average in five September starts. Made 12 "quality starts" in his last 15 outings (since 7/5 at CHI). His record was 7-4 over his last 15 starts, dating to 7/5 at CHI. In those 15 games, Minor pitched at a 2.21 ERA, but received just 36 runs of support (3.5 per game) in that span. Despite allowing only one home run in the month of September, he still tied for fifth in the National League with 26 home runs allowed. His totals include: April (3), May (10), June (5), July (4) and August (3). Lost three consecutive starts from 8/7-19, despite recording a "quality start" in each outing. Atlanta's offense scored just one run in those three starts. Tossed a career-high 8.0 innings twice (4/19 at ARI, 7/28 vs. PHI) while striking out a season-high nine batters in each of those starts. Had a career-high five-game winning streak from 6/21 to 9/8 (3.57 ERA, 7 GS, 40.1 IP, 8 BB, 43 K)...Snapped a four-game Major League losing streak on 6/21 vs. TOR, the streak dated to 9/15/10 (6 G, 5 GS)...Had allowed just three home runs in 72.1 IP (284 AB) prior to 9/19, but then allowed three in 5.2 IP...Went 3-1 with a 3.10 ERA in seven starts at home and 2-2 with a 5.14 ERA in eight starts on the road...Went 4-1 with a 3.83 ERA in nine starts after the All-Star break (1-2, 4.59 ERA, 6 GS before the break)...Named the International League Pitcher of the Week twice, for the week ending 4/24 (1-0, 1.42 ERA, 2 GS,12.2 IP, 7 H, 13 K) and for the week ending 6/5 (1-0, 0.00 ERA, 1 GS, 8.0 shutout IP, 1 H, 9 K)...Struck out a season-high nine batters on two separate occasions, 4/12 vs. NOR and 6/5 vs. BUF. ... Had his contract purchased 8/7 from Gwinnett (AAA) and became the first Braves player from the 2009 draftto reach the Majors. ... Ranked fifth in the Braves organization with 146 strikeouts. ... Made his Major League debut 8/9 at HOU and became the first left-handed pitcher to start a game for theBraves in 2010 and the first since Jo-Jo Reyes on 5/13/2009 at NYM. Reyes was also the last rookie lefthanderto start a game for the Braves (9/27/2007). ... His first career win came against WSH on 8/17 and his first career loss also came against WSH on 9/15. ... Selected to the 2010 XM All-Star Futures Game on 7/11 at Angel Stadium in Anaheim, earning a hold witha perfect 1.0 IP in a 9-1 U.S. victory over the World team. ... Set the Atlanta rookie record with 12 strikeouts in his start on 8/22 at Wrigley Field. The record waspreviously held by Tommy Hanson, who recorded 11 punchouts 7/20/09 at SF. His 12 strikeouts also tiedthe franchise mark for single-game strikeouts by a rookie. George Brunet had 12 on 6/17/60 vs. STL andBob Sadowski also had 12 on 9/5/63 vs. PIT. ... Entered 2010 rated as the Braves' fourth-best prospect by Baseball America. Chosen as the seventh overall pick in the 2009 draft and became the first college pitcher selected as the Braves' top pick since 2005 (RHP Joey Devine, NC State)...Following the draft, signed with the Braves on 8/6 and reported to Rome (A) for his professional debut on 8/20 vs. Charleston (2.0 IP, 0 R, 2 K)...Was the Braves' highest draft selection since outfielder Mike Kelly was taken second overall in 1991 from Arizona State University...Appeared in seven games (all starts) for the Peoria Saguaros of the Arizona Fall League (1-0, 4.86 ERA, 16.2 IP, 9 ER, 6 BB, 12 K)...Was named to the AFL Rising Stars team and was the starting pitcher for the West squad (0.2 IP, 7 R, 6 ER, 1 BB, 0 K, 1 HR), fellow Braves prospect Craig Kimbrel earned the save in the exhibition. December 6, 2017 Texas Rangers signed free agent LHP Mike Minor. November 3, 2017 LHP Mike Minor elected free agency. November 4, 2016 Kansas City Royals activated LHP Mike Minor from the 60-day disabled list. July 28, 2016 Kansas City Royals sent LHP Mike Minor on a rehab assignment to Omaha Storm Chasers. May 18, 2016 Kansas City Royals sent LHP Mike Minor on a rehab assignment to Omaha Storm Chasers. May 10, 2016 Kansas City Royals sent LHP Mike Minor on a rehab assignment to Northwest Arkansas Naturals. February 19, 2016 Kansas City Royals signed free agent LHP Mike Minor. 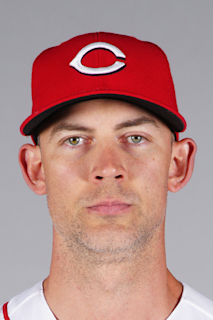 December 2, 2015 LHP Mike Minor elected free agency. November 4, 2015 Atlanta Braves activated LHP Mike Minor from the 60-day disabled list. May 2, 2014 Atlanta Braves activated LHP Mike Minor from the 15-day disabled list. April 23, 2014 Atlanta Braves sent LHP Mike Minor on a rehab assignment to Mississippi Braves. April 17, 2014 Atlanta Braves sent LHP Mike Minor on a rehab assignment to Gwinnett Braves. April 13, 2014 Atlanta Braves sent LHP Mike Minor on a rehab assignment to Rome Braves. April 8, 2014 Atlanta Braves sent LHP Mike Minor on a rehab assignment to Gwinnett Braves. March 31, 2014 Atlanta Braves sent LHP Mike Minor on a rehab assignment to Mississippi Braves. August 6, 2011 Atlanta Braves recalled Mike Minor from Gwinnett Braves. June 22, 2011 Atlanta Braves optioned Mike Minor to Gwinnett Braves. June 11, 2011 Atlanta Braves recalled Mike Minor from Gwinnett Braves. June 11, 2011 Mike Minor roster status changed by Atlanta Braves. June 1, 2011 Atlanta Braves optioned Mike Minor to Gwinnett Braves. May 25, 2011 Atlanta Braves recalled Mike Minor from Gwinnett Braves. April 8, 2011 Atlanta Braves optioned Mike Minor to Gwinnett Braves. April 8, 2011 Mike Minor assigned to Gwinnett Braves. April 3, 2011 Atlanta Braves recalled Mike Minor from Gwinnett Braves. March 24, 2011 Atlanta Braves optioned Mike Minor to Gwinnett Braves. October 13, 2010 Mike Minor roster status changed by Atlanta Braves. October 7, 2010 Atlanta Braves reassigned LHP Mike Minor to the minor leagues. August 29, 2010 Atlanta Braves recalled Mike Minor from Gwinnett Braves. August 27, 2010 Atlanta Braves optioned LHP Mike Minor to GCL Braves. August 7, 2010 Atlanta Braves selected the contract of Mike Minor from Gwinnett Braves. June 29, 2010 Mike Minor assigned to Gwinnett Braves from Mississippi Braves. April 6, 2010 Mike Minor assigned to Mississippi Braves from Rome Braves. February 17, 2010 Atlanta Braves invited non-roster LHP Mike Minor to spring training. August 20, 2009 Mike Minor roster status changed by Rome Braves. August 7, 2009 LHP Mike Minor assigned to Rome Braves from Atlanta Braves. August 5, 2009 Atlanta Braves signed Mike Minor.